Classic music concert with string orchestra, piano and quintet vocal group. 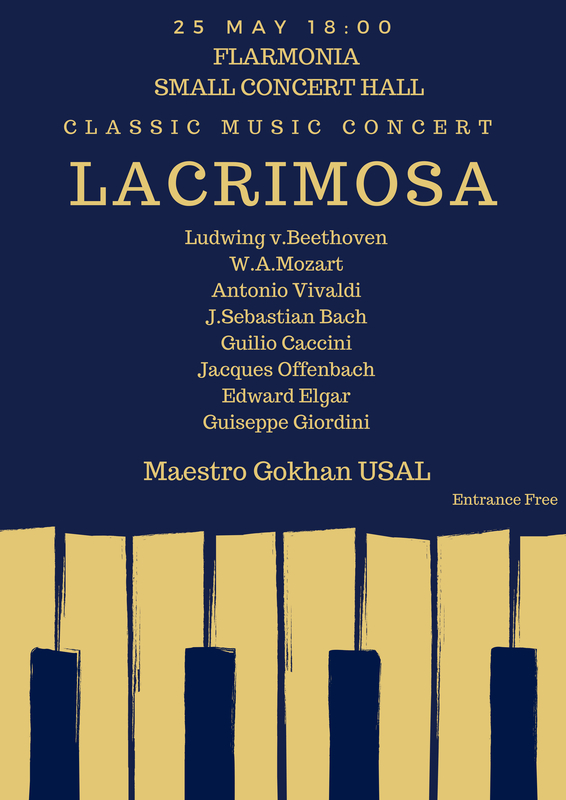 Lacrimosa is a formation of students of the conservatory of Kyrgyzstan of the Turkey Manas University under the leadership of Instructor Gökhan USAL. Gökhan USAL is instructor at the Kygryzstan-Turkey Manas University at the Music Department of the Fine Arts Faculty. The Lacrimosa group has vocal quintet has 1 Soprano, 2 Alto, 1 Tenor and 1 Bass voice in their vocal quintet. The Lacrimosa orchestra consists of piano and strings. 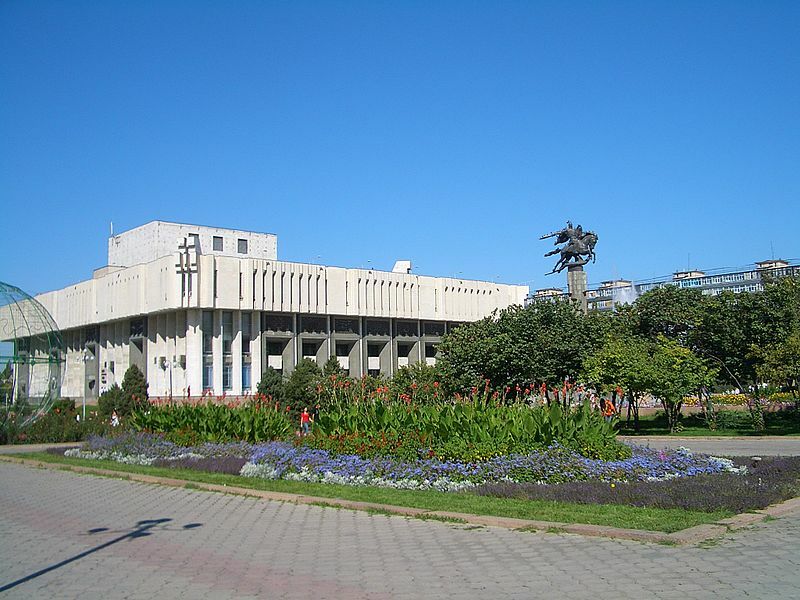 The concert will be in the Small Concert Hall of the Philharmonic Hall.